Short of ideas for Birthday gifts? Have an aspiring photographer amongst your family or friends? 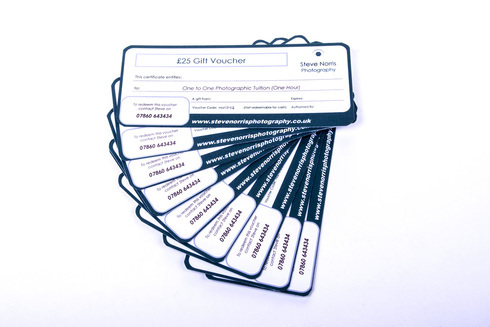 Why not treat them to some professional photographic 'One to One' tuition? I have Gift Vouchers available for £25 for a one hour session or a special deal for 7 hours for £125! I will cover most photographic subjects (Wildlife/Landscape/Portrait etc.,) to suit those at a beginner or intermediate level (Portrait sessions more suited to intermediate or professional - minimum of four hours to include setting up a mobile studio). This course is based at the Hawk and Owl Trust Sculthorpe Moor Nature Reserve near Fakenham in Norfolk, and is designed for those new to their hobby to learn how to make their cameras work for them whilst participating in the wonderful world of nature and wildlife photography. A DSLR (Digital Single Lens Reflex) or a 'Bridge' camera are essential and delegates are advised to read their user manuals to familiarise themselves, as well as possible, with their camera's controls. The day will start at 10 am and finish at around 4 pm with a break for lunch (bring your own lunch). Coffee and tea & biscuits will be provided and served at any time on request. There will be a walk around the site with myself and one of the Reserve Wardens and a full slide presentation to help you to get the best results from your camera. ​This course is the next step along from the beginners course and will give you the help you need to take your hobby to the next level. As well as showing you how to set up a garden 'film set', I will also show you some easy (and some slightly more difficult) techniques to help your shots stand out from the crowd using the 'broader brush' of nature rather than just wildlife. 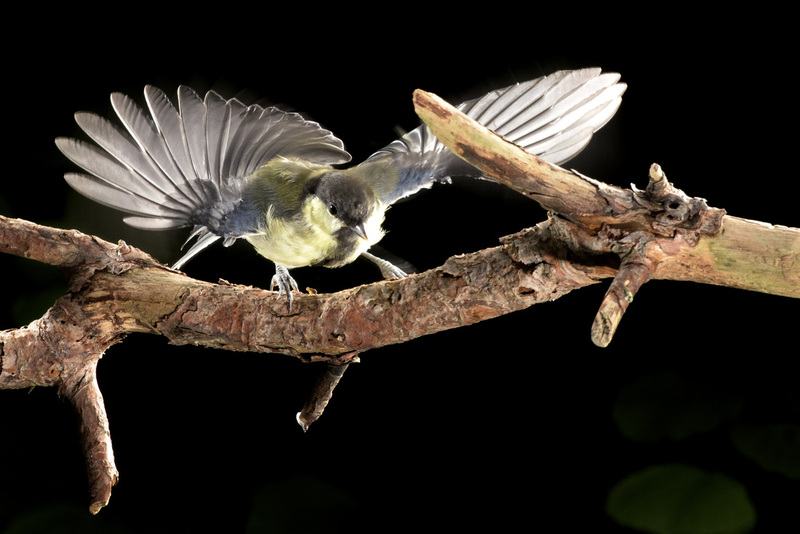 This will include the use of 'off camera' flash units, night skyscapes, animals in the landscape and much more. It will, however, still include the popular 'photo walk' but with the emphasis on 'seeing' with a different perspective. For you to get the best from the course, ideally you will own a DSLR or 'Bridge' camera with full manual control and be thoroughly familiar with its operation as well as having the ability to take and process images in JPEG and 'RAW' file formats with Photoshop/Elements/Lightroom or similar photo editing software. * Existing delegates may review any course presentation by contacting me on this website and I will send a .PDF file with its full content. 'I had a brilliant day of one-to-one tuition with Steve yesterday, he was very patient and is an excellent tutor (as well as a top class photographer), he helped me get my confidence back and took time to go through things. It was a fab day which I enjoyed tremendously. I would thoroughly recommend training with Steve. Thank you Steve - I had a blast! Hello, Just wanted to say a massive thank you again for today, I feel I learnt a lot of tips etc., also been refreshed by going over some other stuff. Also if you do any more classes on portraiture please let me know, my aim is to do nature and wild life for fun but portraiture to help pay for upgrading my equipment! so will love to learn from you as I felt you have great patience and teach very well. Look forward to seeing you again in the near future. 'Just to say thanks for today. I found the beginners course very useful. You refreshed a lot of information I had in my head, provided a practical guide to all the technical information in my camera manual and quickly helped me to understand where I had been going wrong. You have given me a good base to go forward from. I think anyone who is stuck on their cameras auto setting would benefit from the course. 'Hi Steve – many thanks for yesterday, both Marie and I picked up some tips and some ideas that we hadn’t previously considered from your presentation. It was a nice friendly group and we both thought your presentation hit the right note for our current level of photographic experience'. directly for available dates and pricing by using the 'Contact' form for an instant response.